Whether you need a knowledgeable divorce attorney, an experienced adoption lawyer, or a criminal defense lawyer, seek assistance from the experienced attorneys at Owenby Law, P.A. in Jacksonville, Florida. We can help. At our Florida law firm we offer a wide range of legal skills. We aid divorcing spouses as they file for child support, child custody, and spousal support or alimony. we represent those areested for DUI and other criminal offenses. We deal in international adoption when a child is already chosen by the parents and in stepparent adoption and adoption by a relative such as an aunt, uncle, or grandparents. We also handle name changes, paternity matters, and juvenile dependency law cases. We also create solutions to sensitive estate planning questions such as: In the event of incapacity, who will make your financial decisions? Who will care for your children? Owenby Law, P.A. helps clients make the best possible decisions when it comes to their future and the future of their loved ones. Contact us to see how we may help you. 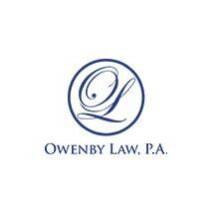 Owenby Law, P.A. serves clients throughout the Jacksonville area, covering Clay, Duval, and Nassau counties, including Orange Park, Jacksonville Beach, Green Cove Springs, Yulee, Middleburg, Fernandina Beach, Amelia Island, and Ponte Vedra Beach.